appartment with one bedroom (twin 2 x 80 cm) and a canopy bed in the living room, Kitchen (also micro wave and dish washer), bathroom with shower, television, safe and phone. 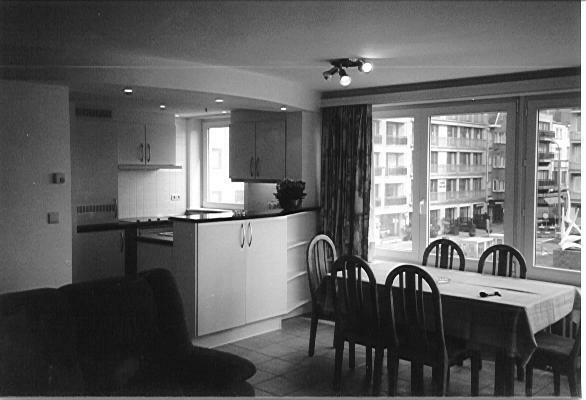 This appartment is situated at about 20 meter from the hotel. There is no access with an elevator to those appartments. Prices are for two persons, our famous breakfastbuffet and hotelservice inclusive. For an extra person (max. 2) we will charge you 30 euro extra per night.